Lachlan Penfold is one of those coaches that has been at the top in multiple sports. In the past few decades he has worked with professional clubs and athletes in the NBA, NRL, AFL, Super Rugby, Olympic softball, javelin, baseball, and much more. 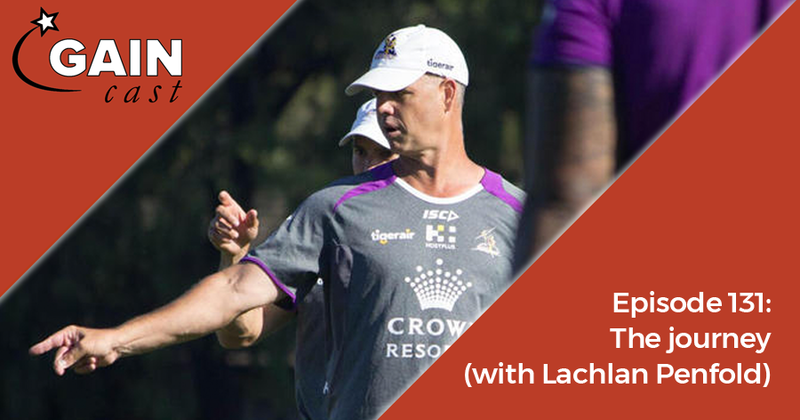 Currently he is the director of performance for the defending champions Melbourne Storm of the National Rugby League. With most guests on the GAINcast we talk about their coaching journey and then focus on a key point of interest. Lachlan’s journey has been so diverse that on this episode we focus entirely on the journey itself, with a step-by-step look at the things he learned along the way.